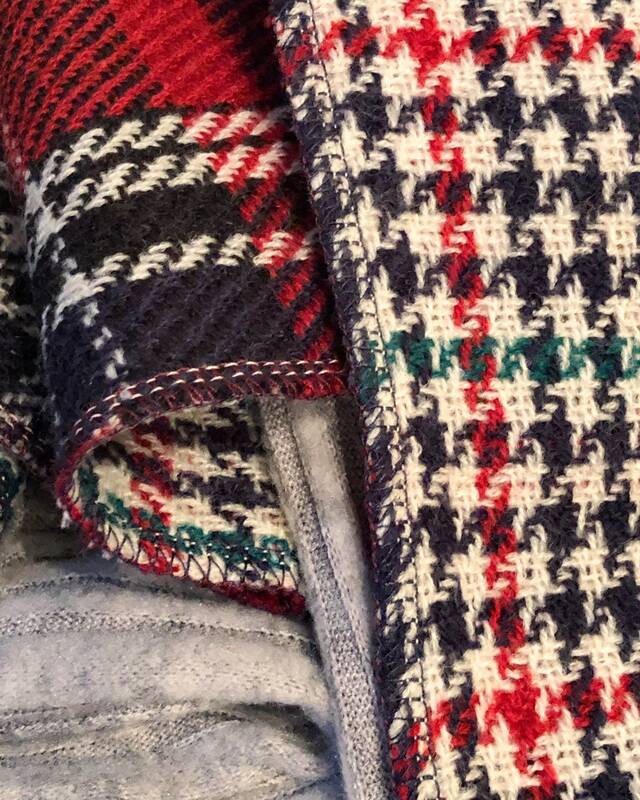 This incredibly soft and luxurious multi fabric scarf includes a ribbed gray sweater knit with a slight stretch, and an inside seam, complemented by 2 feet of reversible plaid & houndstooth patterns in red, black, navy, cream, and green. Note: The navy color is VERY close to black. 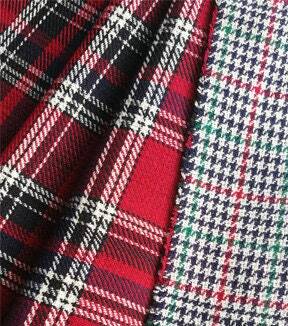 The fabrics are serged together and coverstitched at the transitions to create a beautiful, ultrasoft loop. 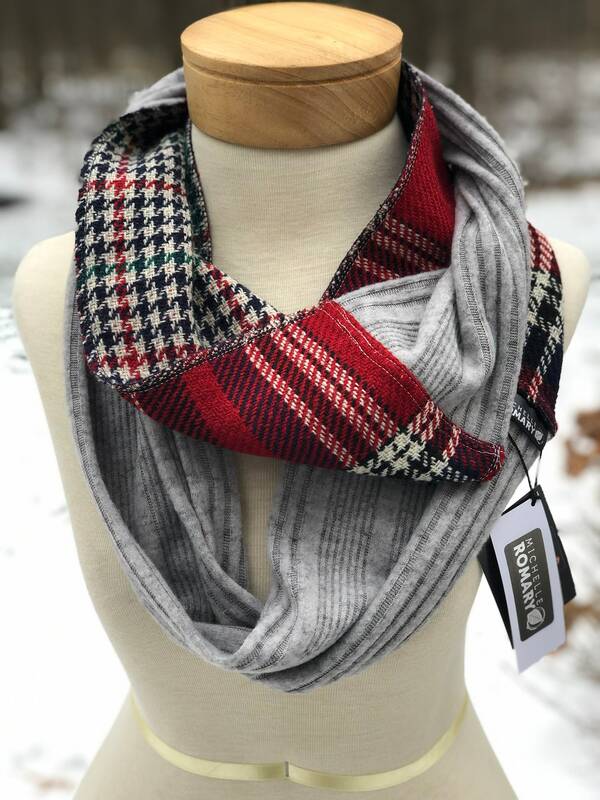 This infinity scarf looks fabulous as a casual addition to your outfit, or an accessory to your favorite jacket. It is looped twice in the photo shown here on a women's size small dress form. Approximately 65" in circumference. Approximately 6.5" wide. Machine dry at low temperature with a Michelle Romary Organic Lavender Sachet or dry flat.